There have been several specifications leaks of OnePlus 2, with the latest three being that it will feature a dual-lens camera, three different smartphone models, a screen size between 5.5 and 5.7 inches, and a V2.1 of Snapdragon 810. Now according to Chinese micro-blogging website Weibo, the latest info we have received on OnePlus 2 is that it is going to feature a full metal build. The source states that according to OnePlus CEO Liu Zuohu; he accessed his Weibo account and teased the fact that the upcoming handset would feature a metal build. Seeing as how OnePlus One featured a polycarbonate body and was available to purchase in two different back cover options (Silk White and Sandstone Black), OnePlus will be looking to raise the bar in both performance and overall aesthetics when the CEO makes the announcement of OnePlus 2 official. On the off chance that OnePlus 2 does not feature a full metal chassis, we will at least get to see some portions of the device covered with a metallic substance. Earlier this year, it was reported that OnePlus would be gearing up to release two smartphones; one would be OnePlus 2, while the other one would cater to a whole different audience. Now, we have three different models incoming, and if the leak turns out to be true, it will present a different price/performance ratio in order to target different segments of the smartphone market. 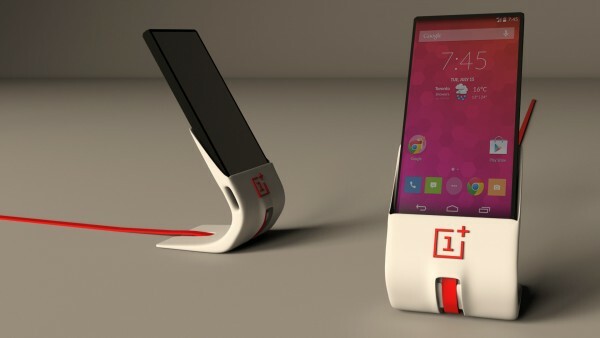 It is expected that the successor of OnePlus One will finally be showcased to the technological populace on July 27. While there is still some time for the handset to be unveiled, perhaps there are other hardware specification leaks that will be sprouted just before OnePlus 2 is brought in to the spotlight. We will keep you updated with the latest.